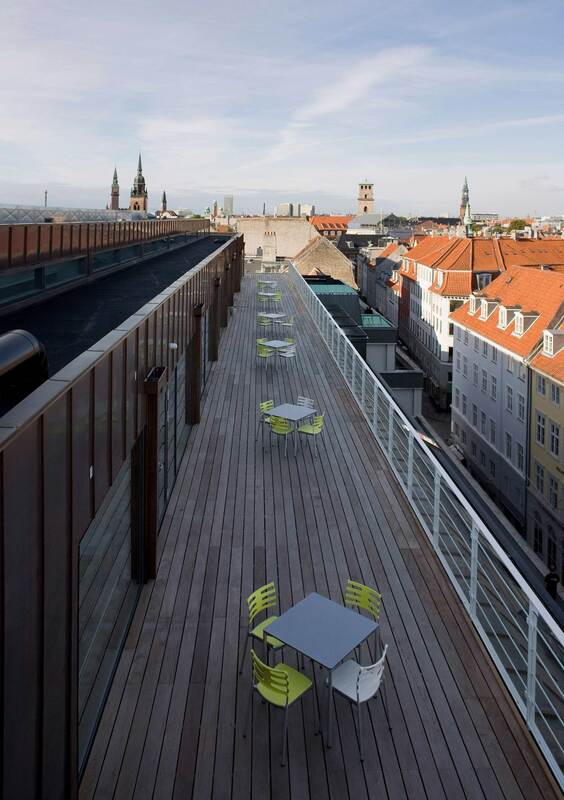 The Berlingske block has undergone a comprehensive yet sensitive renovation creating an attractive urban environment in which the character of the individual buildings has been recreated and enhanced. 12,000 m² of traditional office space has been adapted and remodelled using contemporary solutions to create ‘open plan’ offices. 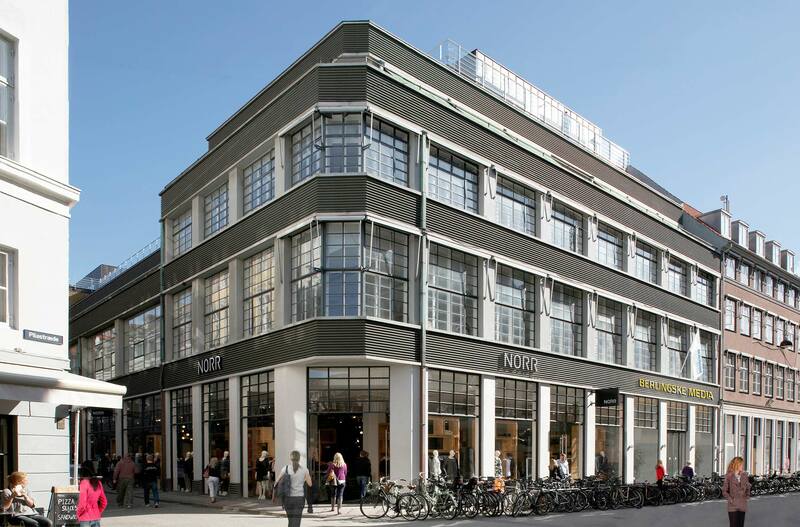 The ground floor has been converted into attractive retail facilities which have transformed the street and invigorated the area. The gentle renovation, where significant characteristics are preserved, has together with contemporary solutions, generated a varied, attractive urban environment where the character of the individual buildings are recreated and enhanced. The shopfronts are specially designed with unique, slim window profiles to create a characteristic retail environment. 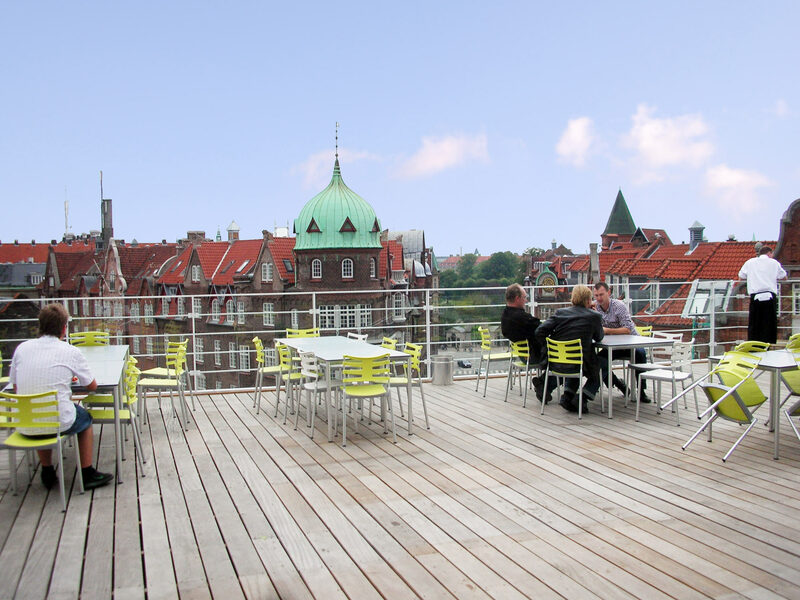 The new copper-clad penthouse features the Berlingske Media canteen and conference room. 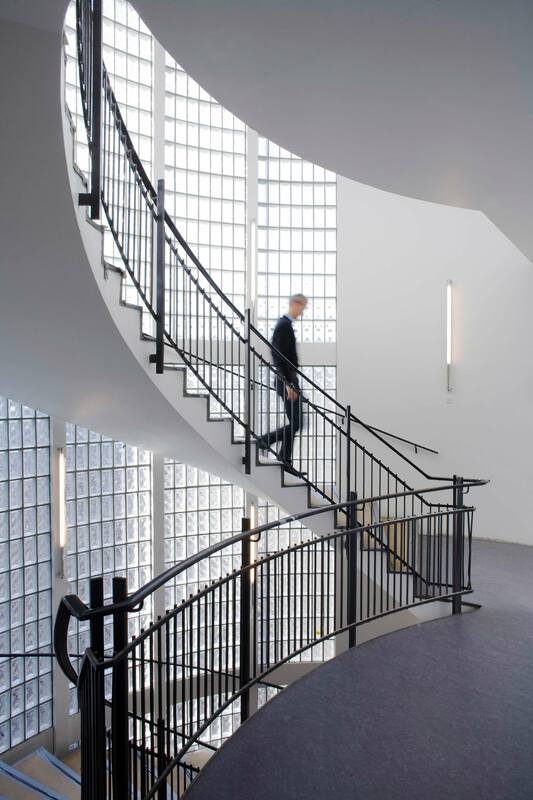 The new reception for Berlingske Media represents the fusion between the historical newspaper house and the contemporary technological media company.